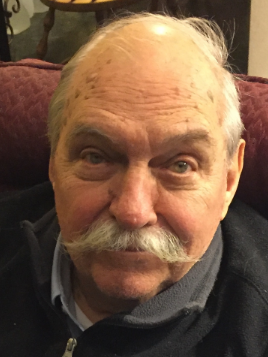 We note with sadness the passing of Tom Chesworth W3IA of Boalsburg, Centre County. Originally licensed as K3EXE, Tom was a long-time ARRL appointee, serving as an Official Relay Station since 1975. He passed away on Wednesday, September 20, 2018 in his home, surrounded by his loved ones. Born in Belle Vernon in 1937,he is survived by Josephine (Rider) Chesworth, his wife of 59 years, three children, his grandchildren, a great-grand-daughter, his sisters, numerous nieces and nephews’ and many dear friends. Tom was a three-time graduate of Penn State, with BS and MS degrees in Meteorology and a PhD in Physics. He was a registered Professional Engineer and technical expert for the National Institute of Standards and Technology and also for the United Nations Industrial Development Organization specializing in Electromagnetic Compatibility and Interference. Tom served as a technical consultant over the course of a long and distinguished career that took him around the world. The company he founded in 1979, Seven Mountains Scientific, designed and built electronic devices and laboratory instruments and performed electromagnetic compatibility engineering and analysis for a variety of clients. With the help of his wife Jo, the company also published three technical journals ENR (Electromagnetic News Report), ABT (Advanced Battery Technology) and the FCC Report.